The fabled king of england is ready for battle. 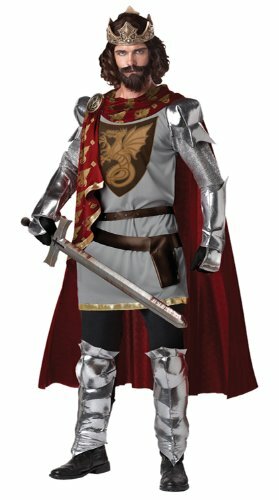 The king arthur costume includes tunic, velcro on shoulder guards, crown, cape with medallion pin, double loop belt, gauntlets, and leg guards. Shoes, pants and sword not included.